Four shots and seven beers ago, our bartenders brought forth on this countertop a new drink, conceived in bourbon, bitters and sugar, and dedicated to the proposition that all Old Fashioneds are not created equal. I had a dream they’re not! And it was in this very place, which some call Bourbons Bistro, that I stumbled upon one of Louisville’s best drinks — the Maple Bacon Old Fashioned. As you know, our esteemed mayor declared the Old Fashioned Louisville’s signature cocktail in the name of all things bourbonism. 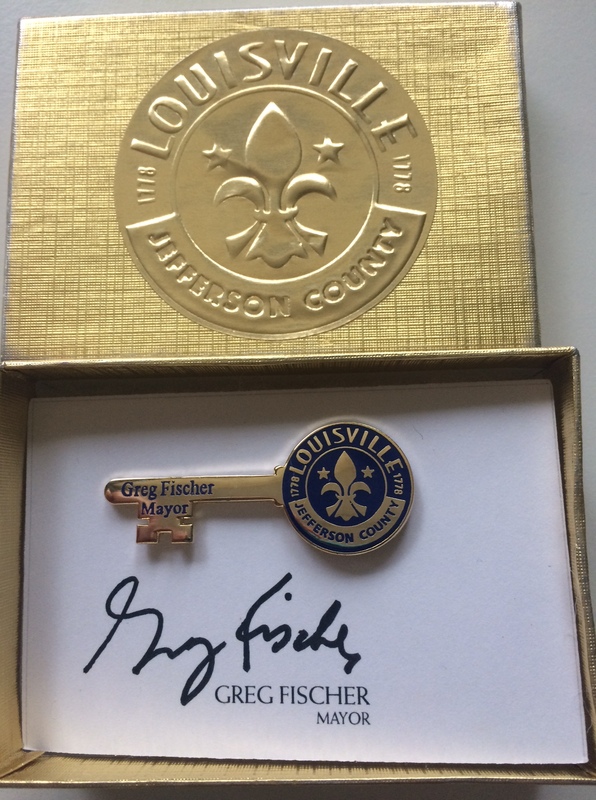 And I’m honored to be bequeathed the city key among friends and strangers alike. I always say strangers are one drink away from BFF status, so I hope we can all raise a toast and take selfies in the name of bourbon. I’m actually surprised that you’re giving me the key, considering how often I … jaywalk. I know the city is cracking down on such an atrocity, and with this new power will come great responsibility. I promise to abide by traffic laws and cross at the lights — unless it’s raining … or snowing. And while I have your attention, I have a few requests and a couple praises. In parting, I’d like to offer up my services as Louisville’s Nightlife Ambassador. If you’re trying to entice the kids to consider Louisville once they graduate, let me take them out for a night on the town — I promise they’ll be a member of the 502 Crew in no time.